Be charming! 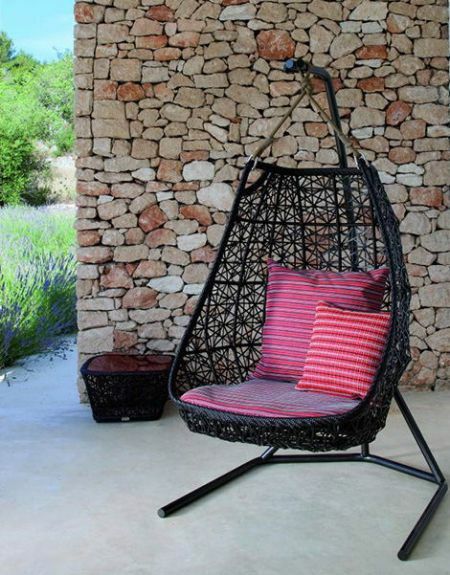 That what Patricia Urquiloa want to say with this chair decoration. 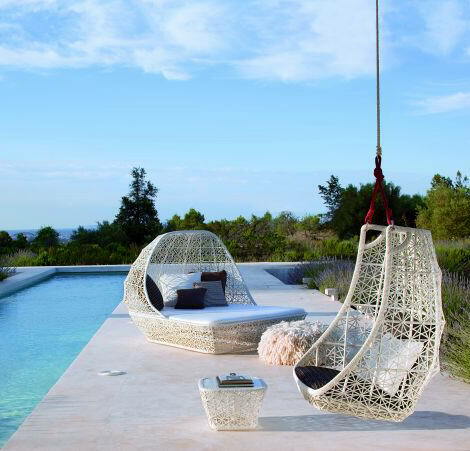 The chic hanging swing outdoor garden chair is the creation of Patricia Urquiola who is a designer working for a Spanish company called Kettal. 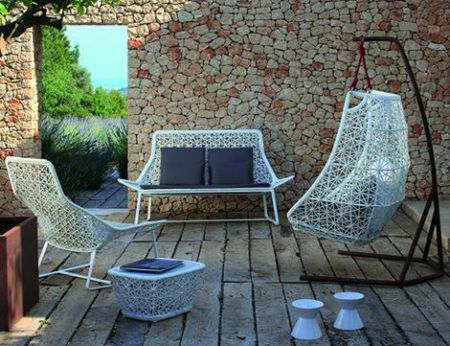 This company is well known for relaxed and casual style outdoor garden or patio furniture. Their design never compromise on the upscale elegance. 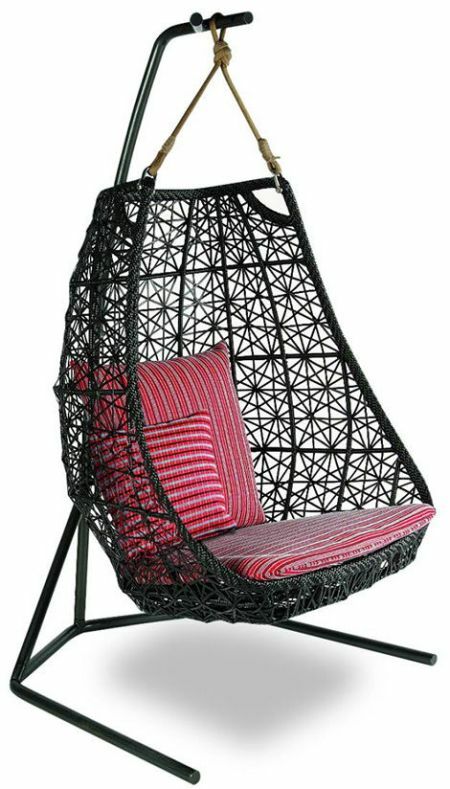 This is suitable with unique exterior home design or Beach House With the Main Material of Wood Ornament.